There's always an overwhelming volume of music swirling around, making it difficult to find a place to start as a consumer. That is why we are here to help. 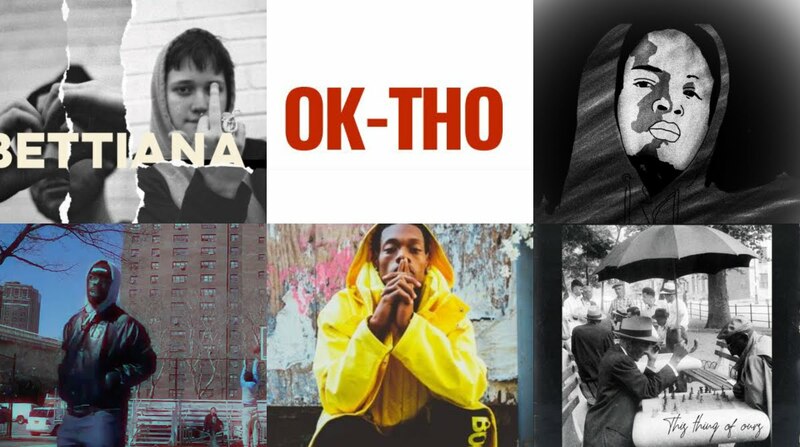 Listed below are 5 artists that each showcase something different, but all have serious potential. Don't be afraid to get hooked on their catalogues. Hailing from Long Beach, CA, Adonis is an emcee who seemingly never runs out of bars. Every track comes complete with viscous 16's and never compromise any of his personality or charisma. Most recently Adonis collaborated with the wizard V Don. The two came up with This Thing of Ours, a 9 track tape that impresses from front to back. He also has works with Tedy Andreas, Lil Eto, and Dirty Dell. Coming from the underrepresented city of St. Louis, J'Demul sheds light on issues many neglect. Using the unfortunate and depressing actuality of his hometown in his lyrics and visuals, J'Demul exposes St. Louis for what it really is. While his bars cut hard and last long, his sound is equally as entertaining -- some of which he produces himself. He is known best for tracks like "Moon" and "University Street", but upped the ante on his latest track, "No More" with the legend Smoke DZA. Like the others on this list, UllNevaNo has been grinding for years now. The Baltimore rapper flashes signs of greatness on his tapes with his ability to hone a timeless hip-hop sound that some feel has been lost in today's world. UllNevaNo never fails to keep the obscure references on deck. Whether it be sports, TV, or any other media, it's an element that keeps his music fresh and fun to dig through. Check out the video for his latest single "Check it Out" off of his album Shammgod with producer Manhe. Lil Texxan simply has a way about him that keeps you listening to his music, watching his videos, reading his tweets, and anything else you can get your hands on. He also has the bars to back the personality. The trunk-banging ballads come fit with a booming voice reminiscent of classic rappers from Texas, Memphis, and other regions alike. On the heels of his latest single "Kao Ken Revenge", Texxan continues to reel us in. R.A.D. is one of the most interesting young artists in the game right now. She has an unassuming way about her, but explodes on every track she touches. It feels like even if she was totally bored, disinterested and out of her element she would find a way to flow to perfection on accident. There is no intimidation factor, her boundaries know no end. Still hot off of her Bettiana EP, with Frankie Bash R.A.D. has only been dropping more gems since.